This article explains how to search through your user lists in the security area of your website administration system. 1. 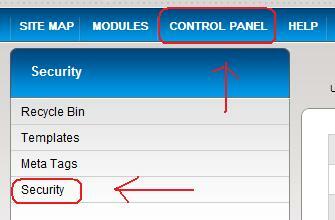 Log in to the admin area of your website. 3. Click on the 'list users' icon near the top of the page, this will bring you to a page where you can search or list users. 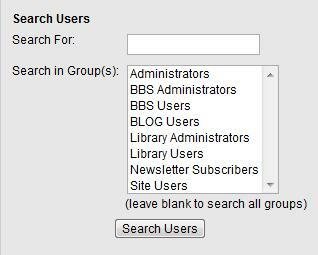 a) Search - enter your search term (usually name or email address) in the search box, then select which user groups you want to search in (leave blank to search all). Then, click 'search users' to display the search results. c) Browse by letter - this function will list all of the users whose last name starts with the letter you click on.